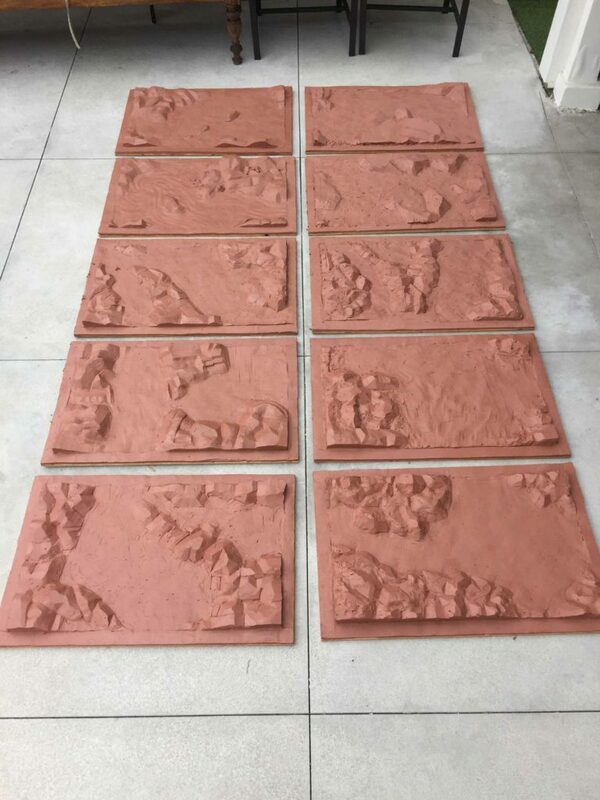 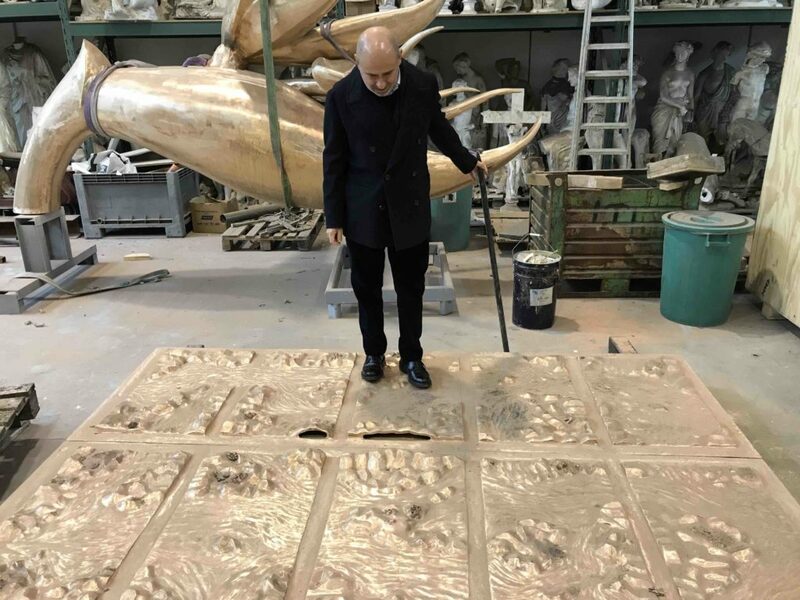 A very important maxillofacial surgeon, that is also a very good artist, has sculpted the model of the entrance door to his new house by the sea, near Los Angeles. 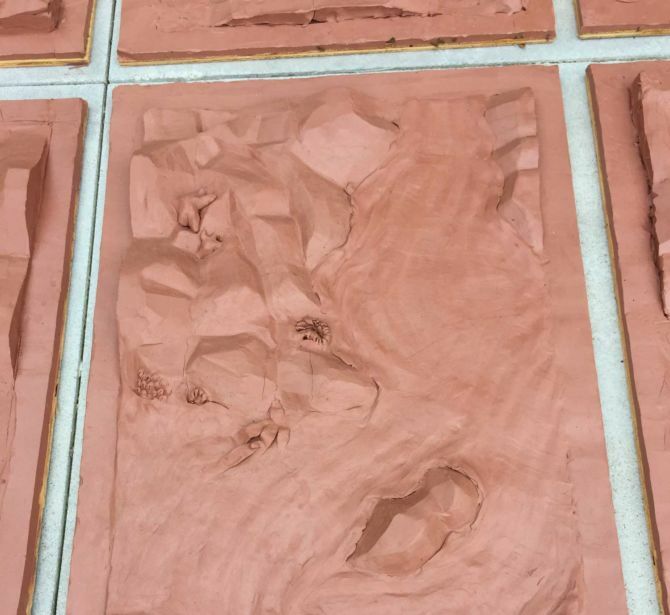 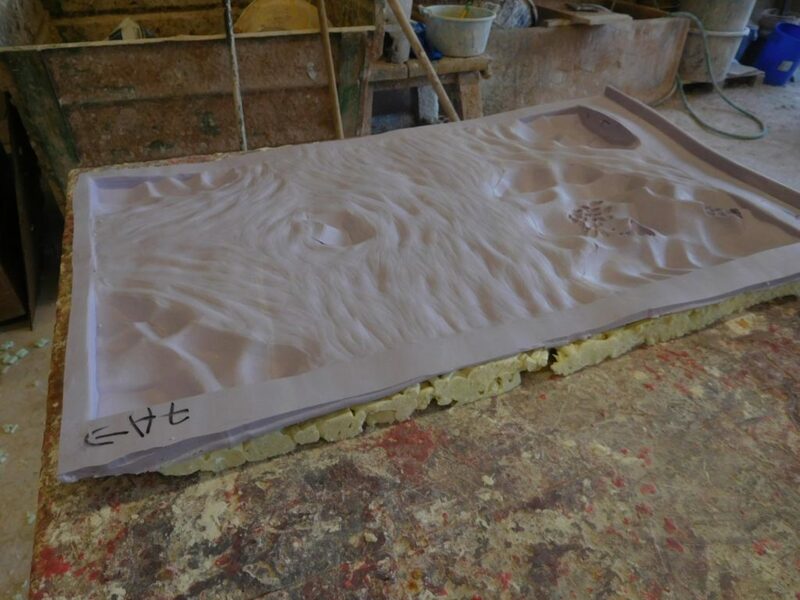 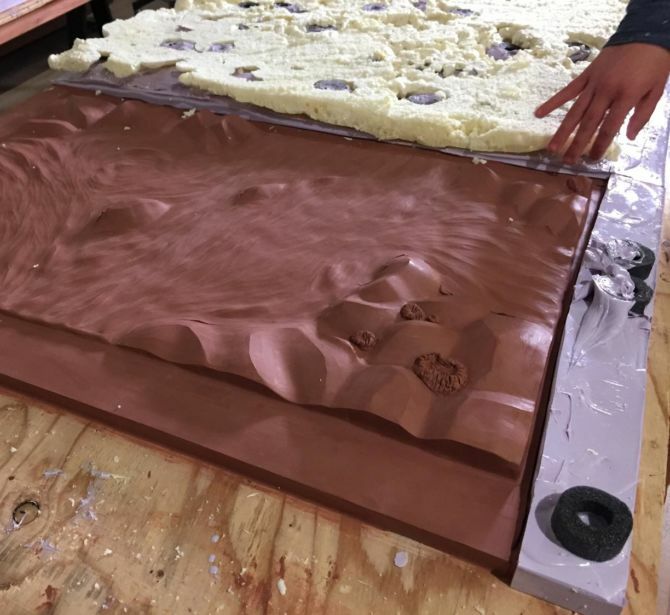 He made also the silicon negative molds of them. 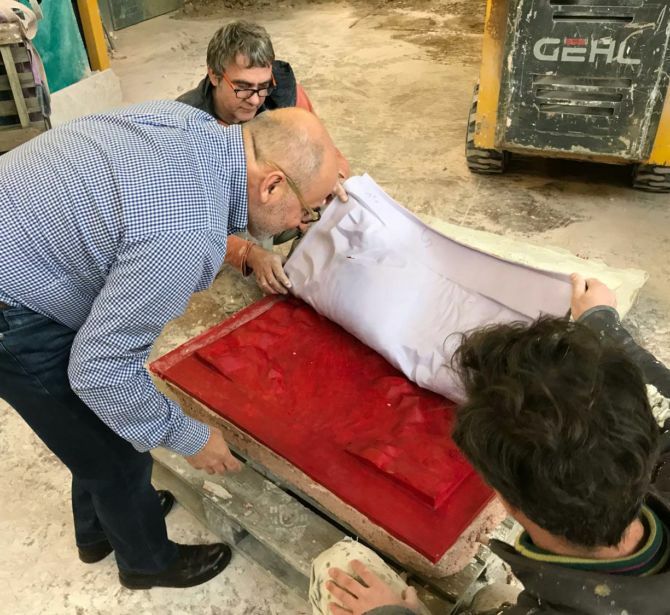 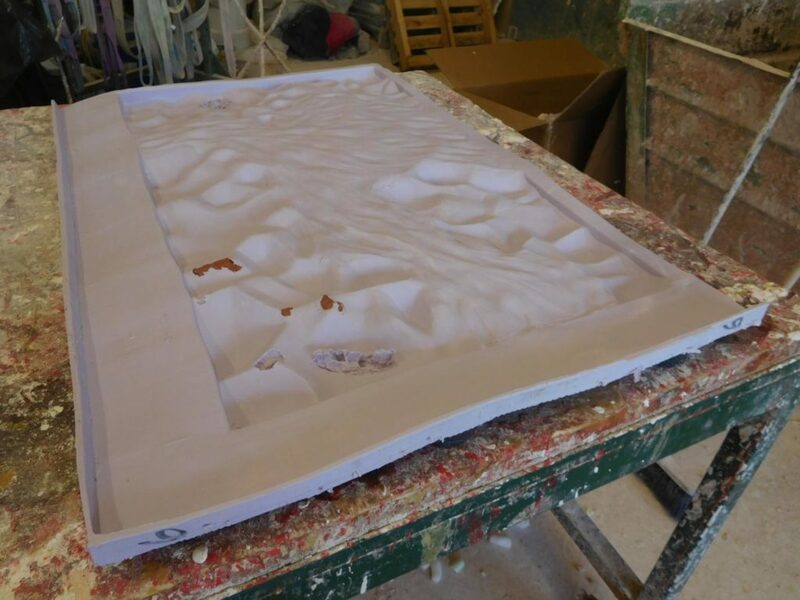 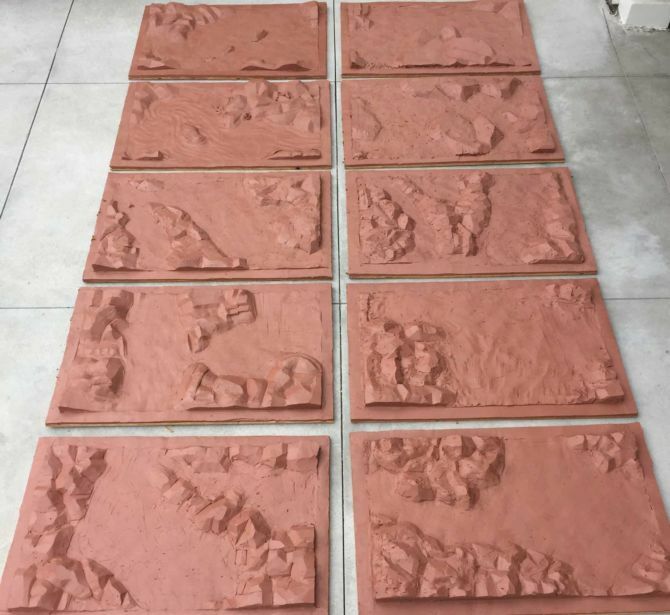 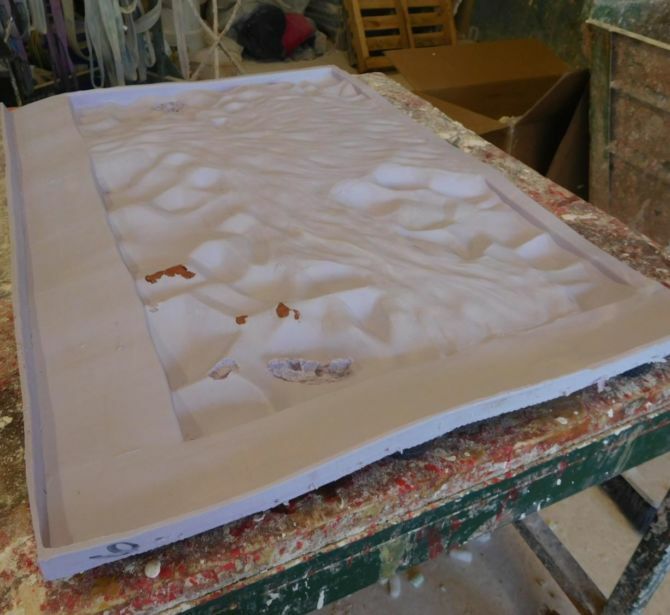 The molds arrived in the Foundry at Barberino Val d’Elsa. 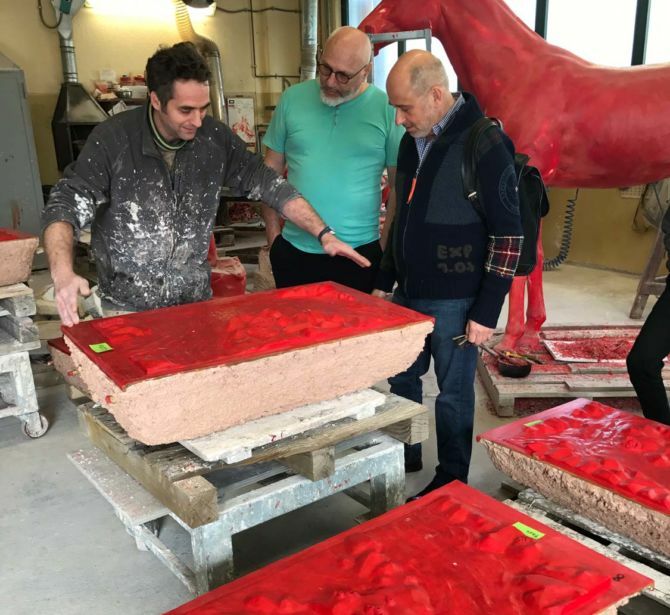 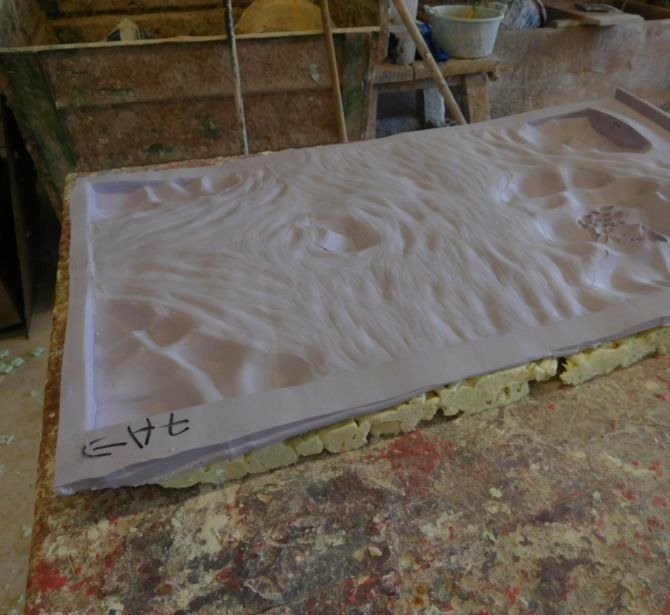 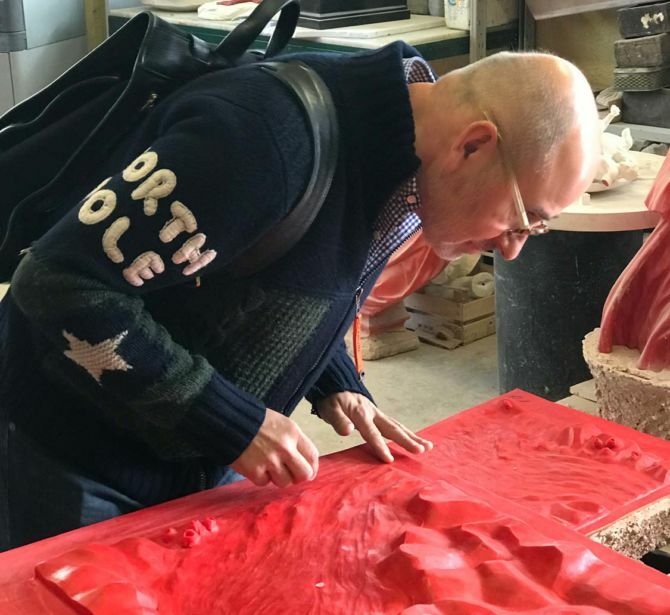 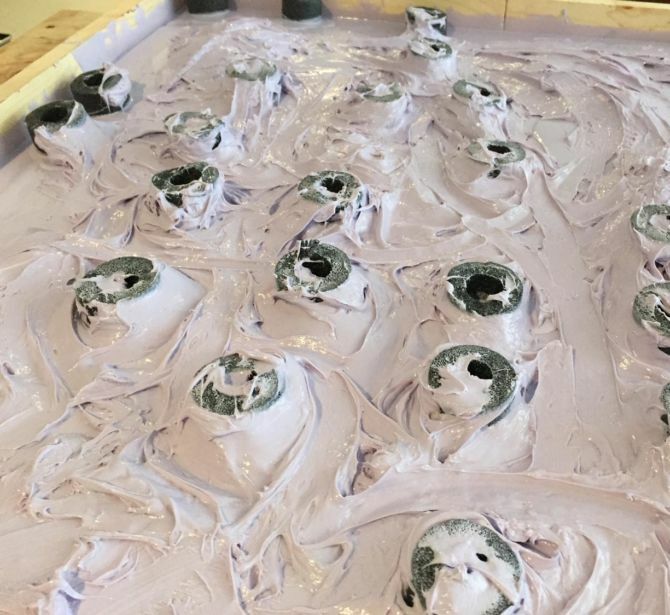 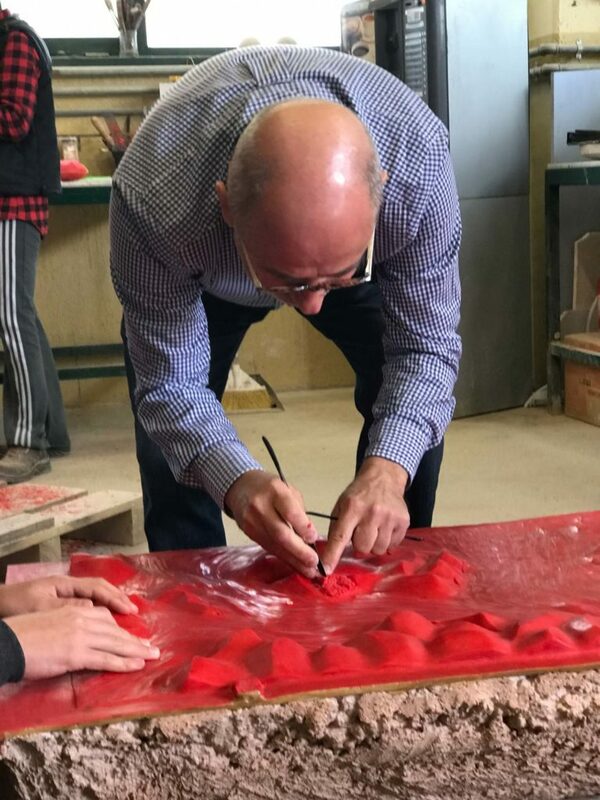 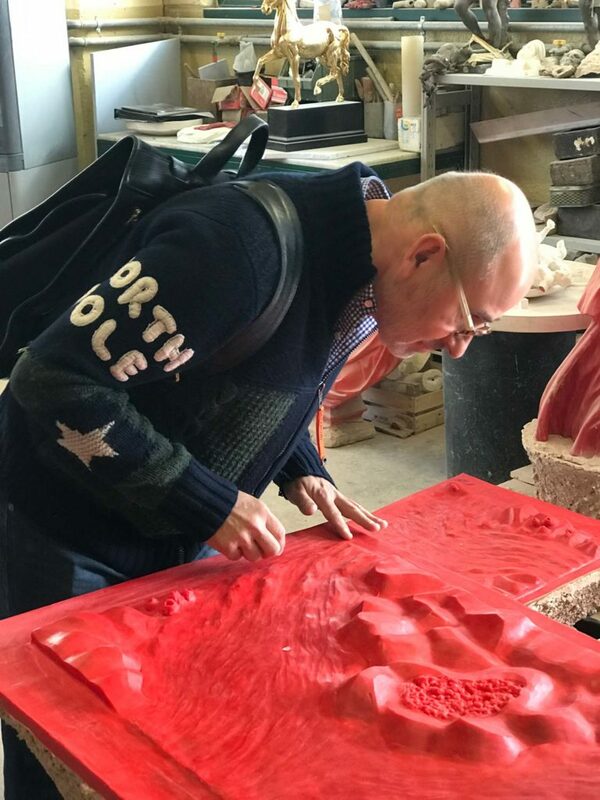 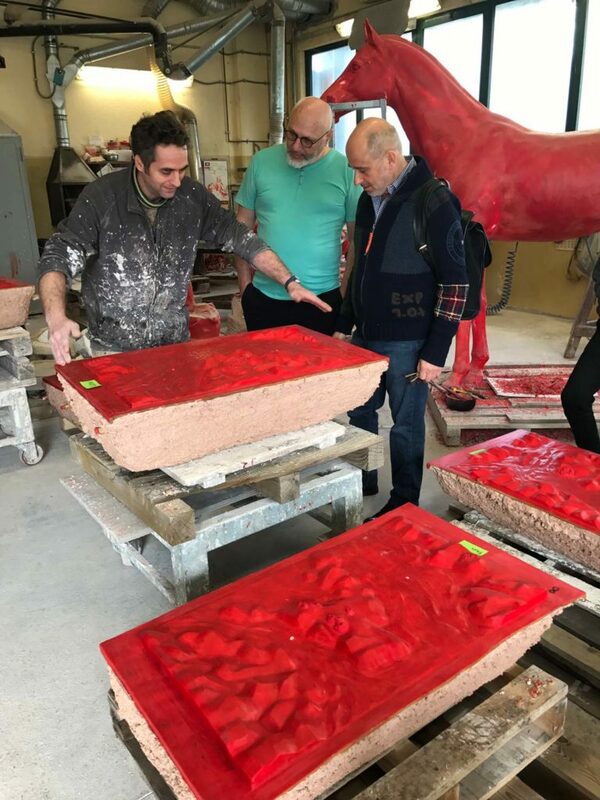 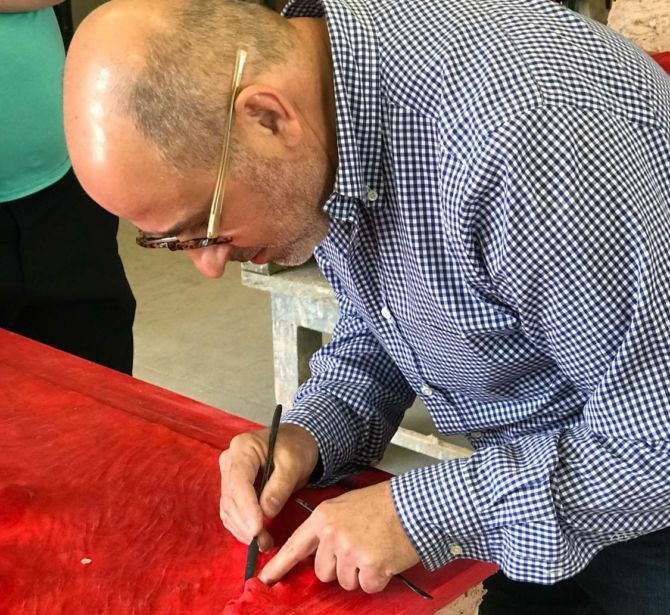 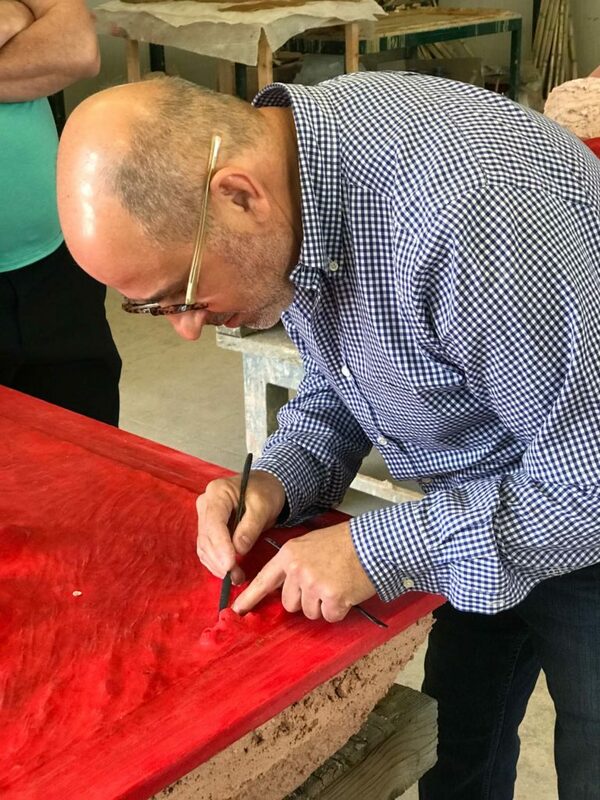 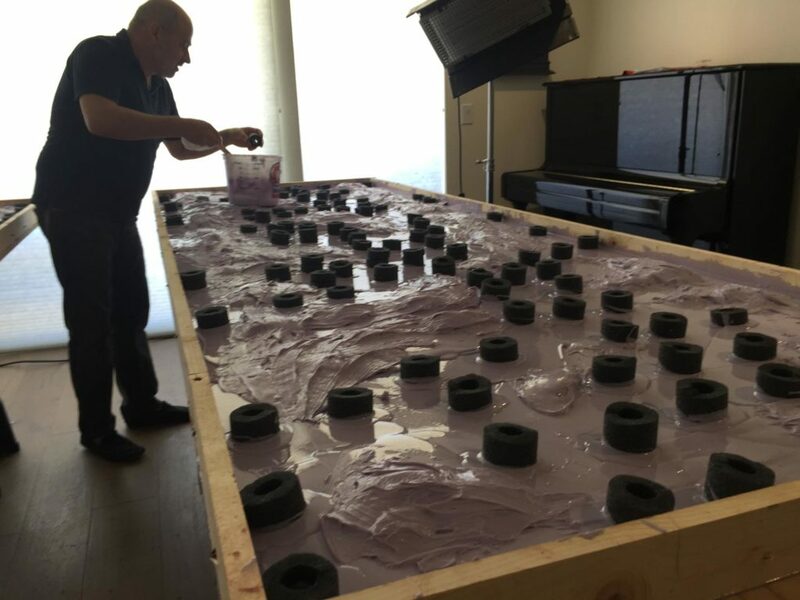 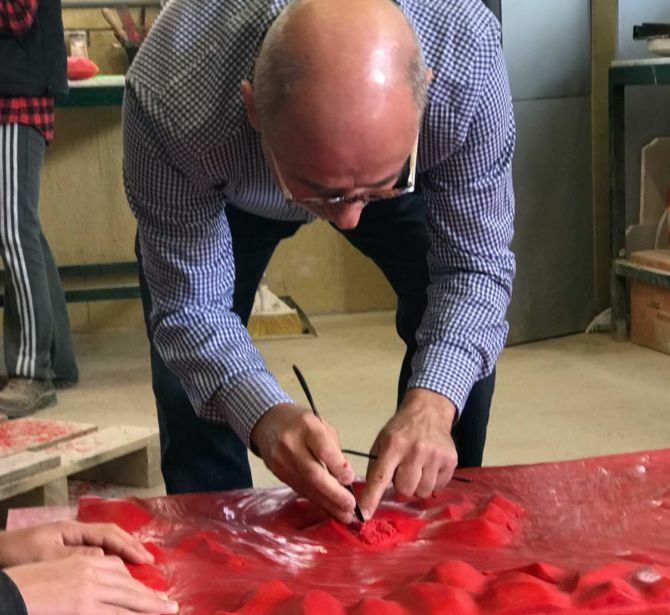 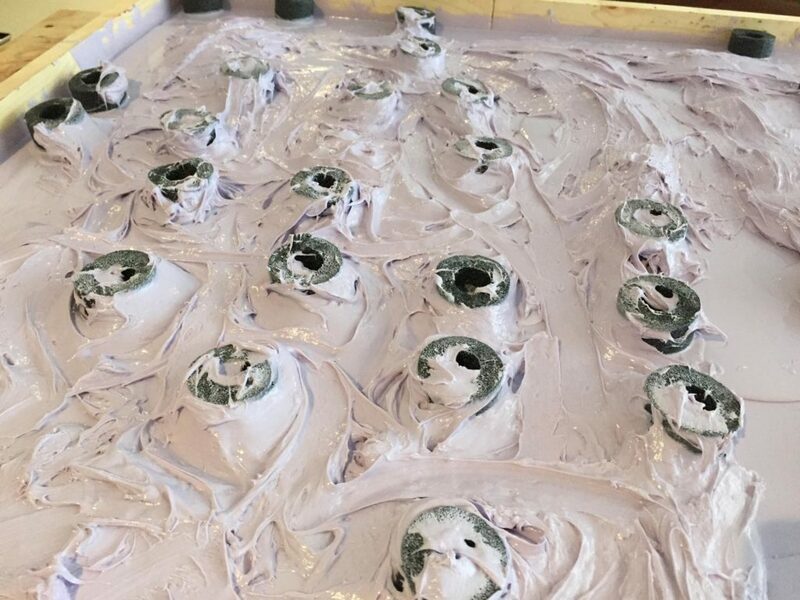 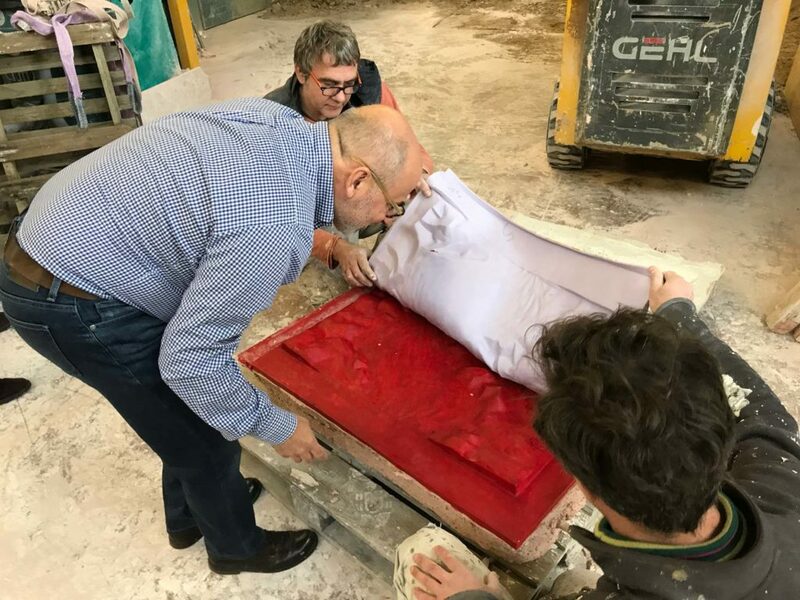 Dr. Liviu Eftimie controls the draft of a wax from the silicon mould. 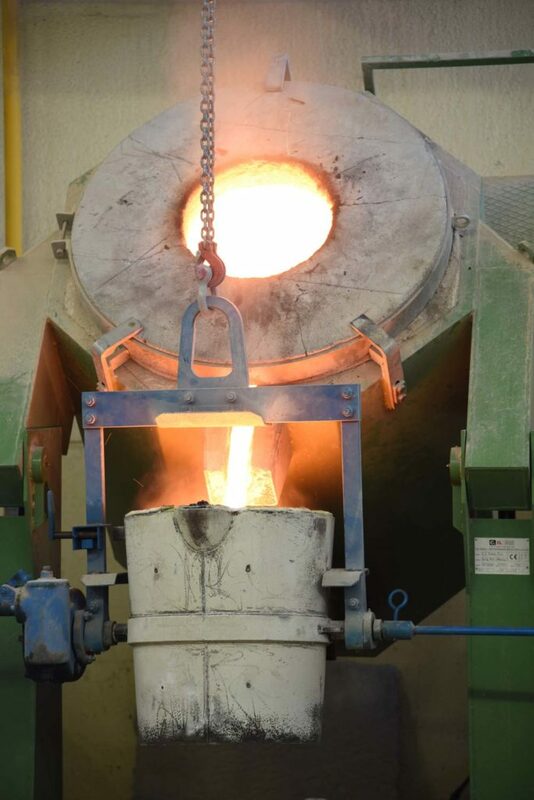 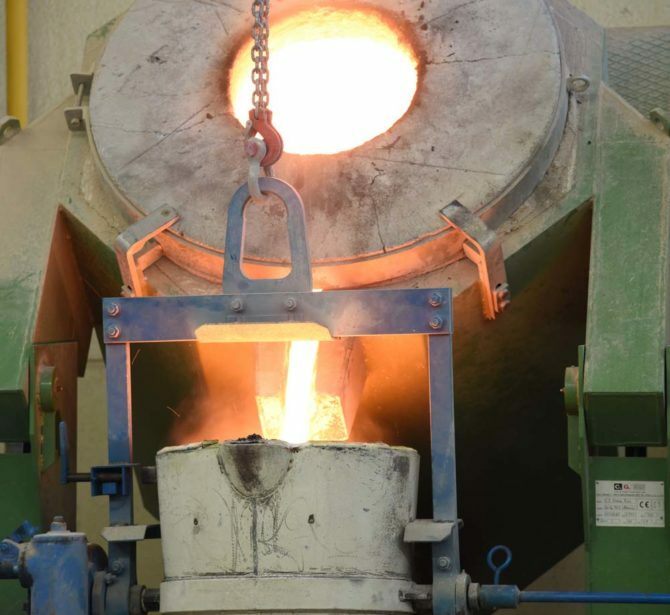 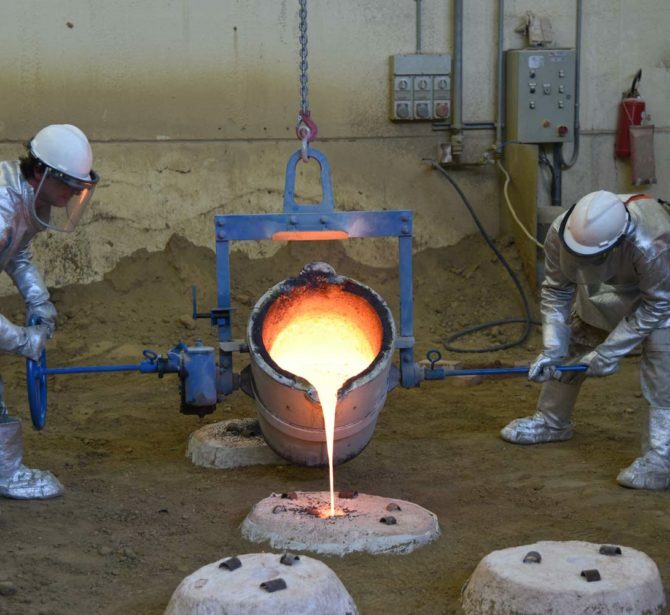 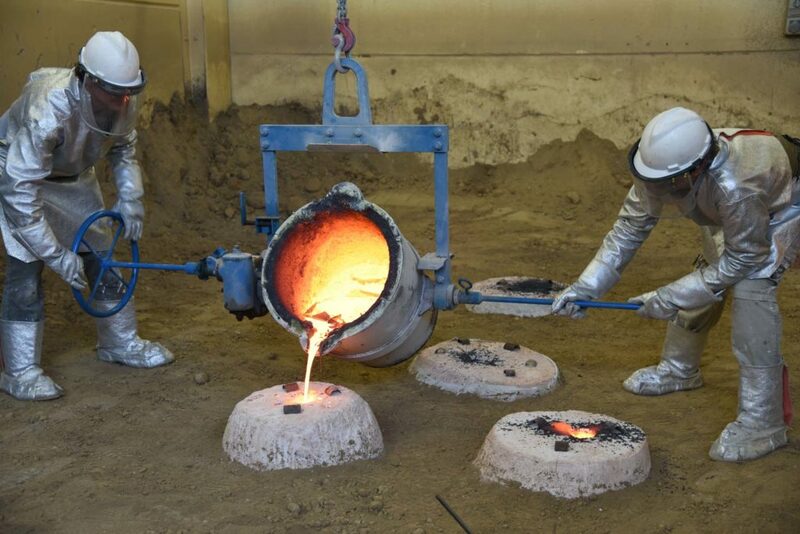 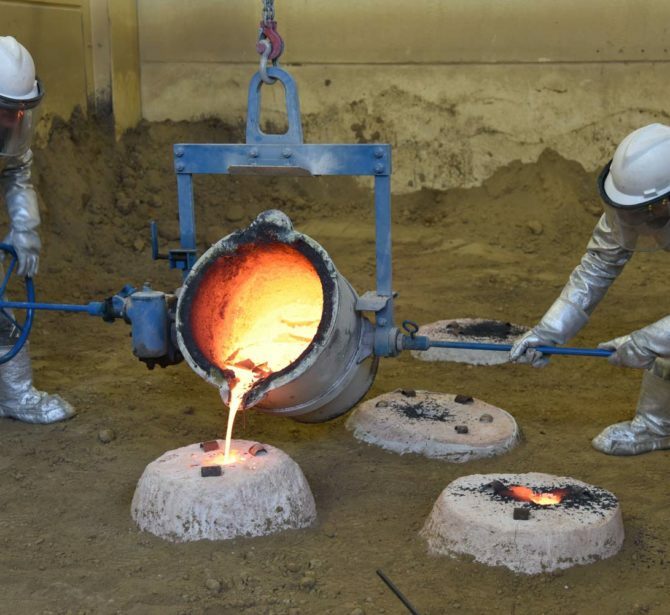 The bronze is poured from the melting furnace to the ladle. 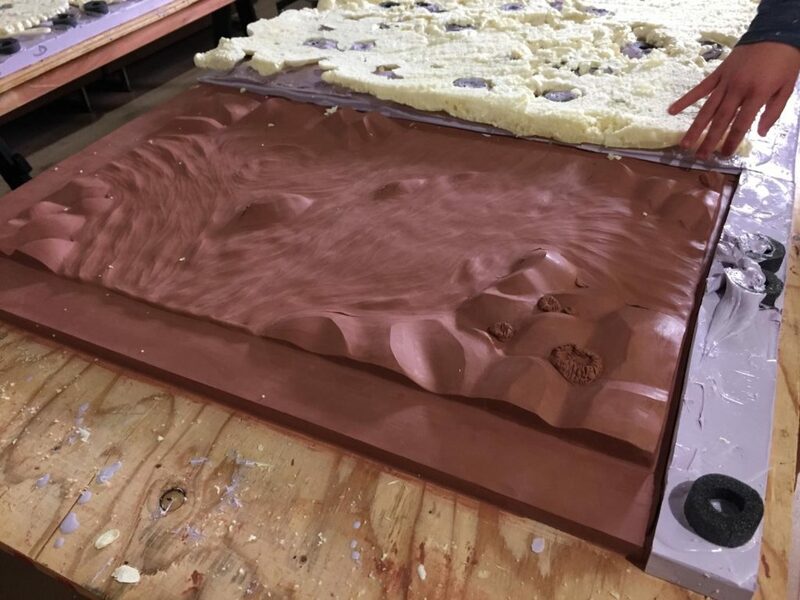 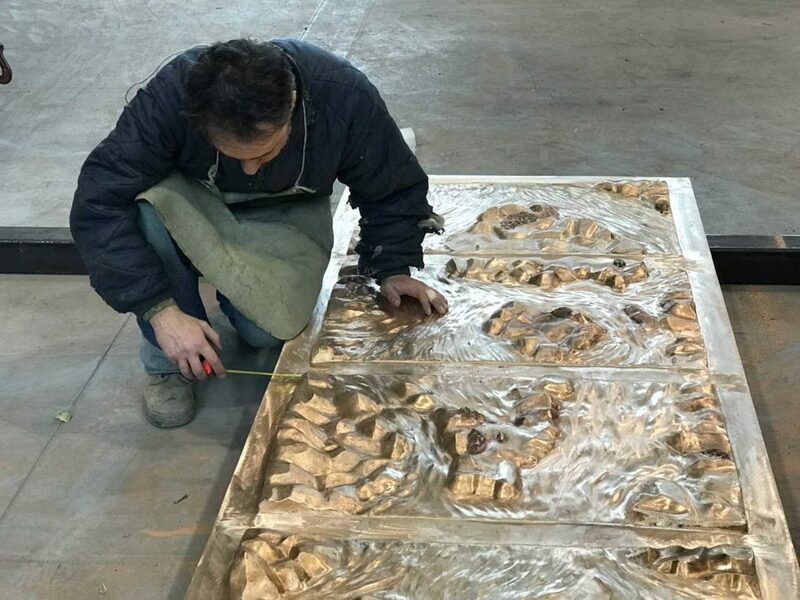 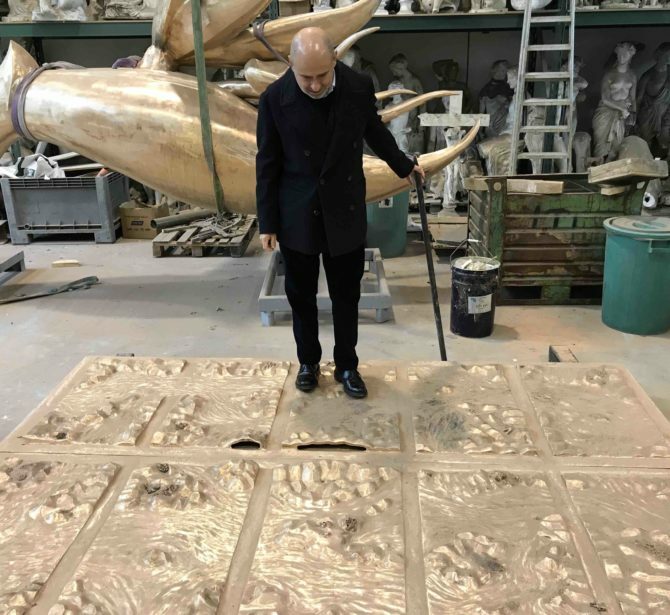 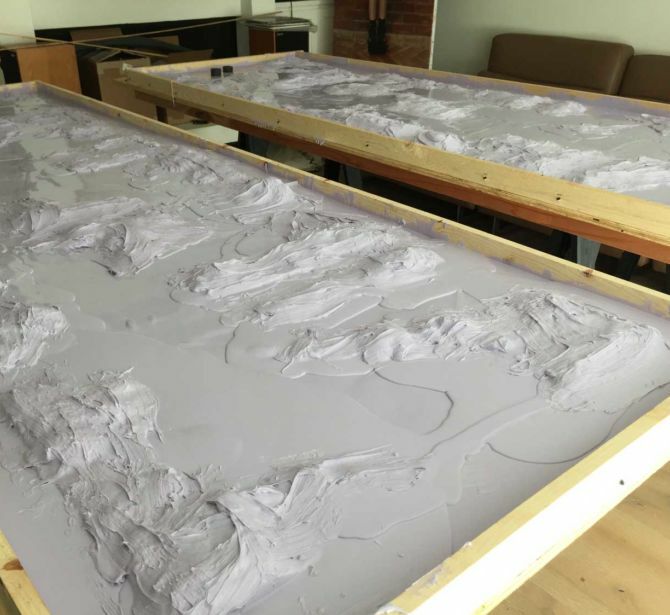 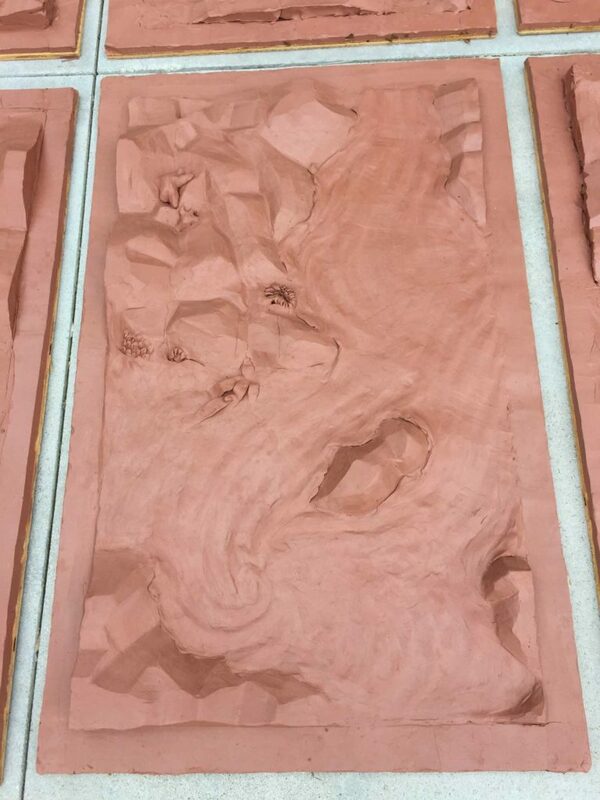 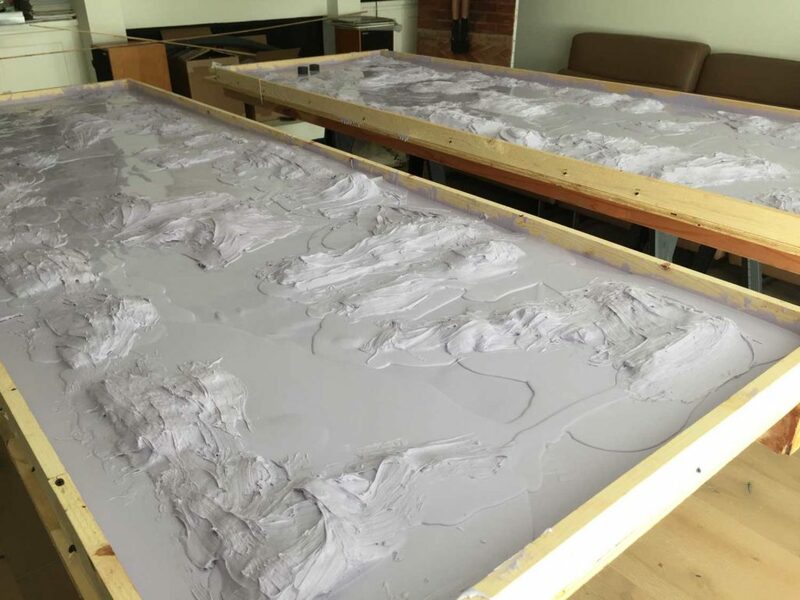 The bronze is poured into the moulds. 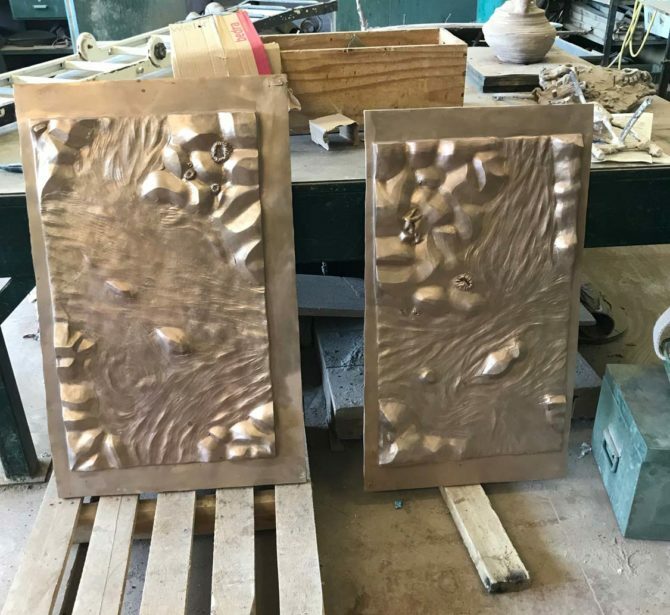 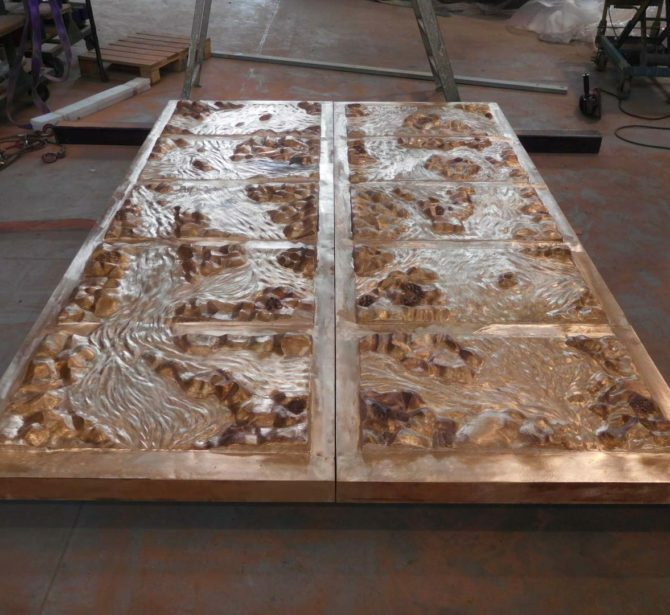 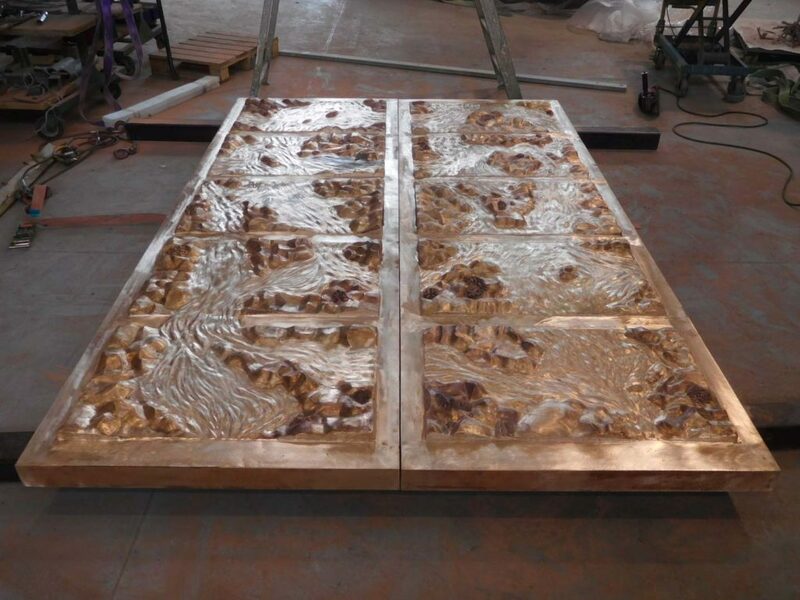 Two worked panels in bronze. 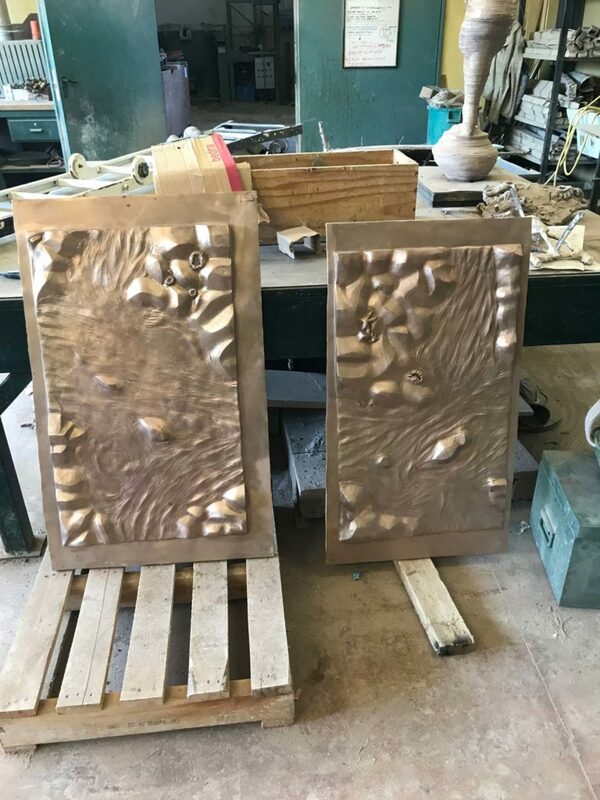 The door before the patina. 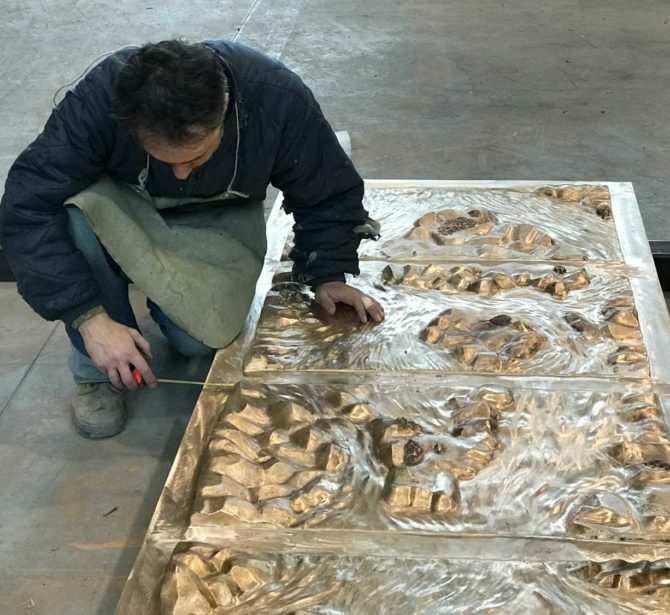 Dr. Liviu Eftimie controls satisfied his work in bronze.